Lightweight and velvety soft micro coral fleece. 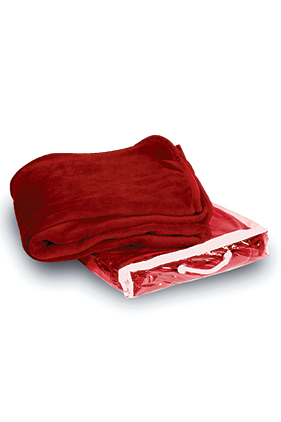 100% polyester 8.5 ounce micro coral fleece blanket. Fully hemmed with matching polyester tricot binding. Clear vinyl zipper bag included. Non-branded label/tag.